Location: Saint-André-de-Chalencon, in the Haute-Loire departement of France (Auvergne Region). Notes: The remains of the castle consists of three terraces of different levels, one of which, to the west, overlooking the village. There is little left of the old buildings and walls: apart from the slender circular keep, restored the crenellated top, still remain two corner turrets, partly rebuilt in the early twentieth century and some windows from the late thirteenth century. 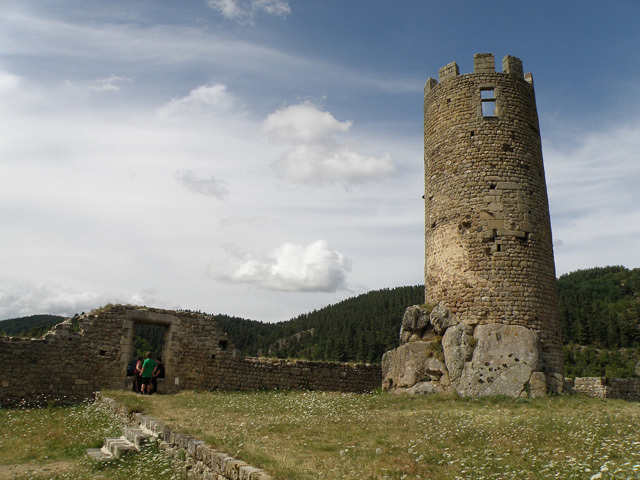 The castle was finally abandoned around 1600. It is listed as a historic monument since 1913.